Growing up in Scotland, Hallowe’en was the most magical of nights. 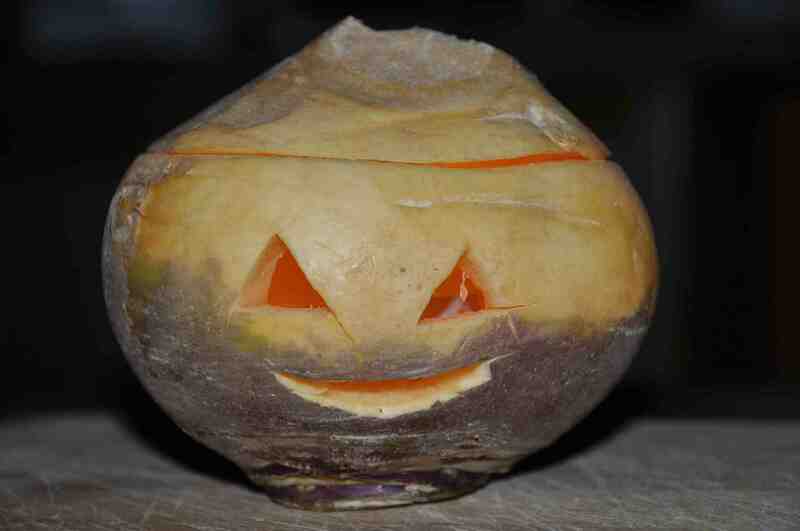 First would come the carving of the turnip; two triangles for its eyes, a twisted slash for a grin, a candle perched inside, and string worked through the sides to create a handle. Party pieces perfected, we’d get dressed up in weird and wonderful homemade costumes and go out guisin’, the glow from our turnip lamps lighting our way down streets glittering with frost, to visit friends and neighbours. (No knocking on strangers doors and definitely no calls of Trick or Treat back then.) Invited inside, we’d then have to perform our poem or song, and if our audience was pleased with the recitation, we’d be rewarded with an apple, orange, peanuts, or best of all, a silver coin… or two! Back home, Mum would have slathered crumpets in treacle and attached them to the pulley in the kitchen. With our hands behind our backs, the game was to see who could be first to eat them. That would be followed – fortunately – by dookin’ for apples. 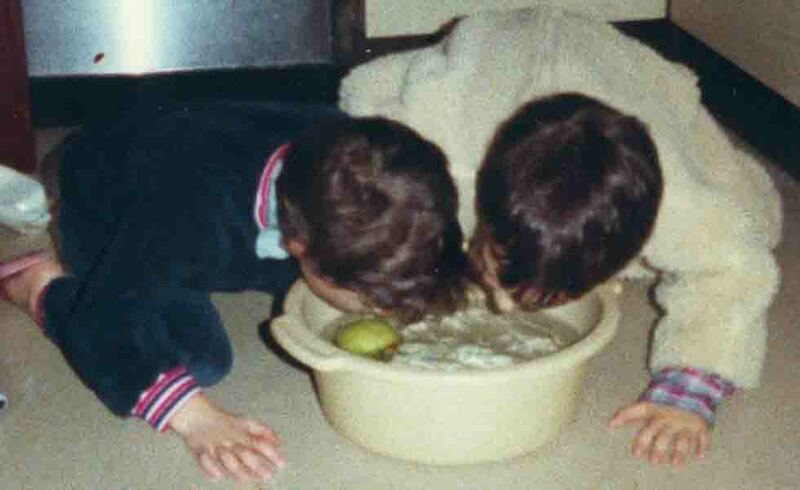 If you didn’t manage to grab an apple with your teeth, at least the treacle was washed from your face. According to some historical accounts, it was Scottish and Irish immigrants who brought these traditions to North America. They developed over the years to the Hallowe’en celebrations kids enjoy now. And talking of the Scots, it turns out that Robert Burns wrote a poem capturing the Hallowe’en rituals of 18th Century Scotland. No, I’m not talking about Tam O’Shanter, but another entitled, simply, Hallowe’en, which describes the lingering pagan traditions in the Scotland of his time. Even I found myself struggling with the Scots version, so here’s an English translation. Whatever your traditions, have a Happy Hallowe’en everyone!